Please join the United Way of the Bradford Area, Inc. in a “Day” of Action! We are going to be volunteering within our communities during National Volunteer Week, April 7th – 13th, and we want you to join us! While we are participating in an act (or multiple acts!) of volunteerism each day, we are asking the members of our community to pick a day and ACT! Whether it is for an organization you support, an organization you work for or simply something to better our local communities, please get out there with us! But the fun doesn’t stop there — we want to see and share what you are doing so please use the hashtag #uwbadayofaction so we can follow along on social media! This is a way for everyone to see how their neighbors, friends and family are giving back to our community. If you have an opportunity or an idea for us (and by us I mean your UWBA staff — Sarah, Bethany and Paige) please let us know, we would be happy to participate in your “Day” of Action. The United Way of the Bradford Area is currently accepting applications for the second quarter of Community Impact funding for 2019. Eligible non-profit agencies may submit a request for up to $1,500 for Community Impact funds. Awards will be given to programs or initiatives with the potential to make an immediate impact on the local community while being essential to the agencies mission. Priority will be given to those who have not received prior funding, who have supplied all necessary documentation, and request funding for programmatic costs. Impact applications may be received by visiting United Way’s website at www.uwbanews.org, the United Way office, or by request at admin@uwbanews.org. Along with the application, it is being requested of applicants that a detailed budget of planned expenditures be included. All applications are reviewed by a committee comprised of United Way Board members, with recommendations being presented to the full board for final approval. For more information regarding the application process, please contact the United Way. The United Way of the Bradford Area’s Board and Staff want to sincerely thank all of the individuals, businesses and organizations who joined us last evening to celebrate exceptional volunteerism — and to also hear our vision and be reminded of the work we do each day. Jim Wiseman was awarded the Red Feather award which is an award given to an individual or an organization who has made a significant impact on the United Way. Jim spoke about how humbled and honored he was to be in the company of so many leaders in our community who also share the Red Feather. Jim said that though he was being awarded for giving so much to the United Way he wanted it to be known that the United Way has given so much to him in return. Debbie Price with Evergreen Elm was awarded the Excellence in Representation Award and this award is given to an outstanding agency representative who best exemplifies the United Way of the Bradford Areas mission within their own organization, who participates in the annual campaign and who possesses a working knowledge of the United Way and how in benefits the various programs and service in the community. Debbie spoke passionately about the United Way and how as a young girl she can vividly re-call the Community Chest (the United Way’s predecessor) aiding her family when they were struggling to make ends meet and that her father always wanted her to remember to give back to the United Way. This has stuck with her to this day which makes her someone we are proud to recognize. We also took time to share our Annual Report to the Community which further outlines how we benefit the communities we serve on an annual basis. If you are interested in a copy of this report, please contact the United Way office. The United Way of the Bradford Area is hosting their Red Feather and Report to the Community Event on February 28th, 2019 at 6:00 pm at the Bradford Club. The Red Feather recognition is to honor a volunteer who is truly passionate about the United Way and the work we do year after year. We also take time to award a funded agency who shares our mission within their own organization with the Excellence in Representation award. This year the Red Feather awardee is Jim Wiseman. Jim is the Executive Director of Beacon Light Adult Residential Services, he is passionate about the work he does and the individuals he serves. Jim has been involved with the United Way of the Bradford Area as a board member for the last 10 years and continues to be an active volunteer. Receiving the Excellence in Representation award is Debbie Price with Evergreen Elm. Since 2013, Debbie has served as the CEO at Evergreen Elm, Inc. Debbie also has a long history with the United Way. Her involvement with the Bradford Area United Way began in 1988 but she has also served the United Ways of Beaver, Warren and Allegany County. Please join us Thursday February 28th to honor these two well-deserving United Way Supporters. The event is open to the public but space is limited. Please be sure to RSVP before February 10th by calling the United Way office at 814-368-6181 or email us at paige.labrozzi@uwbanews.org. “Thank you and Congratulations to Bradford, Port Allegany and Smethport!”, says MaryAnn Quinn, a member of the 2018 -2019 “Be the Change” Campaign Team. 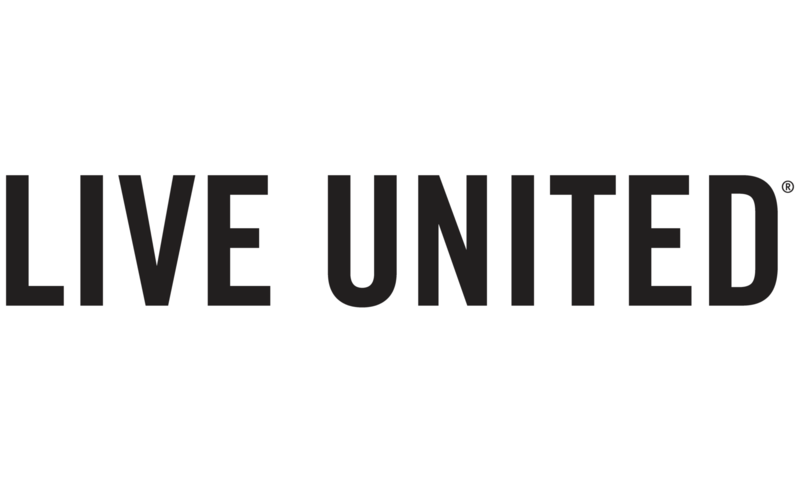 To Live United means we must Work United to reach this level of success in our communities. The United Way of the Bradford Area exceeded the goal for two of their three campaigns. The Bradford campaign goal was $340,000.00 coming in at 101%. The Port Allegany campaign also exceeded their goal of $17,500.00 arriving at 104%. Because we have met these goals our funded agencies will not go without and will continue to make lasting impacts on the individuals they serve. “I would like to thank everyone who helped and gave during this year’s annual campaign, says Campaign Chair, Theresa Funk. “Because of you, you have changed so many people’s lives for the better. I have learned so much about the community and the organizations the United Way funds. Volunteering is a lot of hard work and I have a great respect for anyone who gives their time and/or money to this area:. Karen Costello-Pecht, Board President says, “On behalf of the UWBA Board of Directors, we would like to thank this year’s Campaign Team: Theresa Funk, Jill Henry, Nikki Wiseman, Jean Keltz and Mary Ann Quinn, along with the entire 2018 office staff, Kelly Case (Interim Executive Director), Paige LaBrozzi (current Executive Director), Sarah Lonzi (Administrative Assistant) and Mandi Wilton-Davis (former Executive Director), for all their hard work throughout this campaign. In addition, we want to thank our communities for their support, whether it was through volunteering, donating or participating in one of our fundraising events, you’ve made a positive impact to the UWBA and to this campaign. We are extremely grateful and want to thank everyone for helping the UWBA continue their mission, “to raise and distribute funds for the purpose of community building and enhancing the quality of life in the areas we serve”. On Thursday, February 28th, 2019, the United Way of the Bradford Area will be hosting their Red Feather event in conjunction with their Report to the Community. It is the first time these events will share the spotlight and we are hopeful for a great turnout. For more information on the local United Way, contact the office or visit www.uwbanews.org.